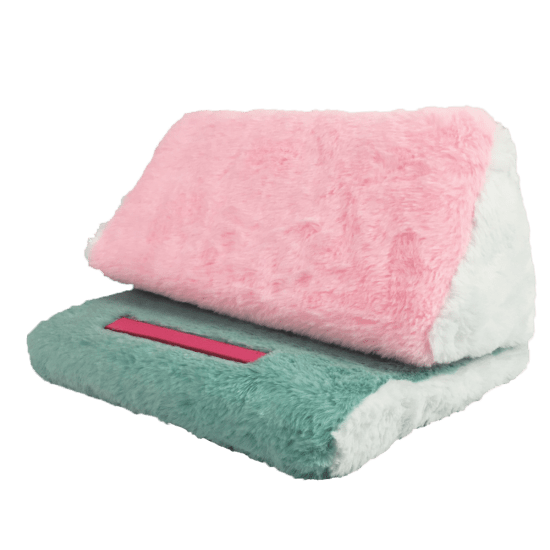 Our color block furry tablet pillow holds books, magazines, and electronic devices at just the right angle to make lazy day lounging extra comfy. 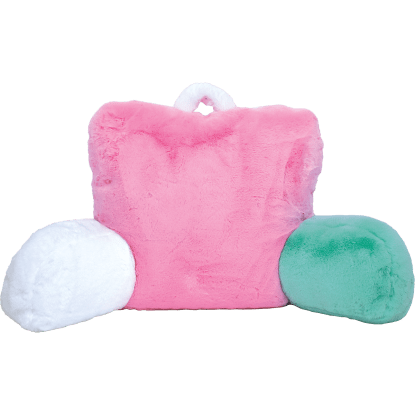 Soft, furry, and colorful, it fits a variety of devices and can be opened or folded into different positions for maximum comfort. Whether you're gaming, watching videos, or getting lost in a good book, our tablet pillow is here to keep you cozy.